1) Make sure you practice your responses to interview questions. Have a friend/mentor help you by conducting a mock interview. Consider practicing with a variety of people to get different perspectives. If you can't do a mock interview, a good idea is to practice in front of a mirror so you can see how you look. 2) Sometimes the only difference between companies is the company atmosphere/culture. Try to get a feel for the company's ideals/goals and, most importantly, the people. See if they match up with your personal/professional goals and personality. The best way to get a feel for a company's culture without having worked at the company is by speaking with those who have worked at the company. 3) Don't get too early and definitely never be late to an interview. You want to show the interviewer that you value their time and that you are serious about the interview. However, you don't want to rush them by super early either. Wait somewhere else if you do arrive early. As a rule of thumb, arriving ten to fifteen minutes early is just fine. 4) When greeting the interviewer for the first time, introduce yourself and firmly shake their hand. If you easily forget names, say their name after they've introduced themselves. For example, "Hi John. It's a pleasure to meet you." The best way to keep their name in your head is to repeat it a couple of times in your head. You don't want to seem awkward by repeating their name multiple times out loud. 5) Make sure to smile and look your interviewer in the eye. Eye contact is especially important when making a connection with someone. One thing you want to avoid is laser beam eye contact. This means staring into someones eyes as if you were Cyclops. If you feel uncomfortable looking into the interviewer's eyes, it is also appropriate to look in between the eyes. Just make sure to look elsewhere ever so often to avoid the laser beam eye contact. 6) Wear proper business attire. When in doubt, overdress. Typically interview attire is business professional. However, if you are interviewing for a position in a technology company, it may be different. When in doubt, overdress. That means, the default is to dress business professional. It shows that you are serious about the interview. 7) Don't wear strong cologne or perfume. People's noses are very sensitive to cologne or perfume. If you or your friends are going out at night, cologne or perfume may be appropriate. But, it can be hit or miss with the interviewer. He or she may find your cologne too strong. Usually I let me interviewing skills do the talking and avoid putting on any cologne. I suppose this can include men as well. Remember you are going to an interview not a club. You are here to find a job not to pick up girls or guys. Some makeup and jewelry is appropriate, but make sure you don't go overboard. 9) Turn off your phone or put it on silent (not vibration) before the interview. If your phone goes off during the interview that can be very embarrassing. Not only does it interrupt the interview, but can be a huge distraction as well. You want to give your interviewer the utmost respect and turning off your phone is a good way to start. 10) Be relaxed and take deep breaths before the interview. Nobody is going to chop off your head. You have nothing to lose. Remember you didn't have the job to begin with. Relax and you will do fine. Look out for part two for the second set of tips. 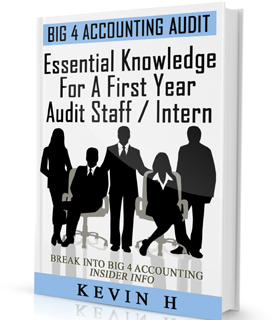 Also check out the Big 4 Interview Tricks and Tips Book for more interview tips.